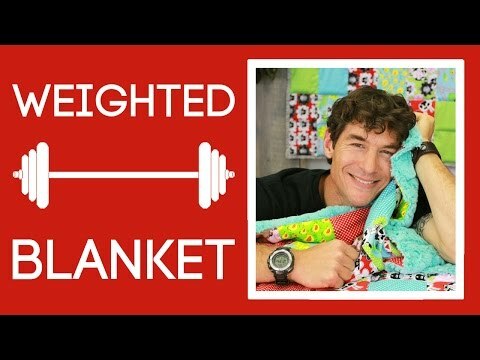 Weighted Blanket Pattern from Man Sewing - Rob Appell - Missouri Star Quilt Co. Weighted blankets are comforting, like getting a hug. This versatile project allows you to customize your fabric choices and blanket weight to not only make a quilt that is visually pleasing, but physically soothing as well. Finished size: 22 1/2" x 27 1/2" OR 31 1/2" x 57"